A Marine Iguana hatchling’s desperate dash to safety with innumerable Racer Snakes in pursuit of it, disinfection featured in the very first episode of BBC Planet Earth II.The electrifying sequence left the audience at the edge of their seat gasping for breath. The Islands episode was watched by 12.26 million viewers & the chase sequence created a buzz so strong that the second ‘Mountains’ episodes drew 13.14 million viewers surpassing popular shows like ‘I’m a Celebrity”. This is a testament to the power of immersive storytelling combined with cutting edge technological innovation. 40 COUNTRIES, 117 FILMING TRIPS, 2098 SHOOTING DAYS! BBC’s Natural History Unit has been a pioneer in many ways. Released in 2006, Planet Earth was one of the first series to air in full HD. 10 years on, this landmark series revisits the planet’s most extreme and unseen habitats. This time aided with an arsenal of new age equipment and a better understanding of the natural world. Narrated by the matchless Sir David Attenborough this series promises to be monumental! For those of us in India, we have further reason to cheer! India features heavily in three of the six Planet Earth II episodes! 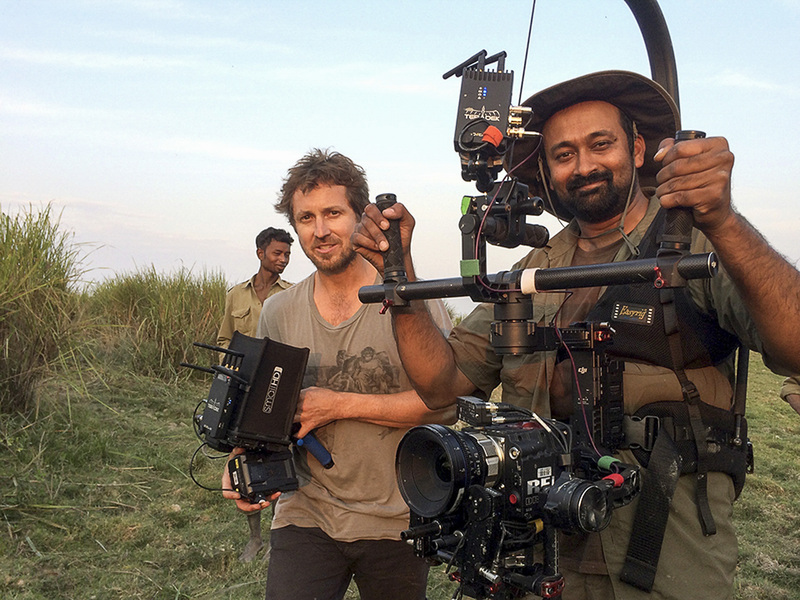 For years India has enticed filmmakers from across the globe. They have traversed its length and breadth and have told stories of our incredible land, our diverse people and our astounding biodiversity. Yet, there are lands that remain unseen, stories that are untold and animals that are so elusive only a few have caught fleeting glimpses of it. 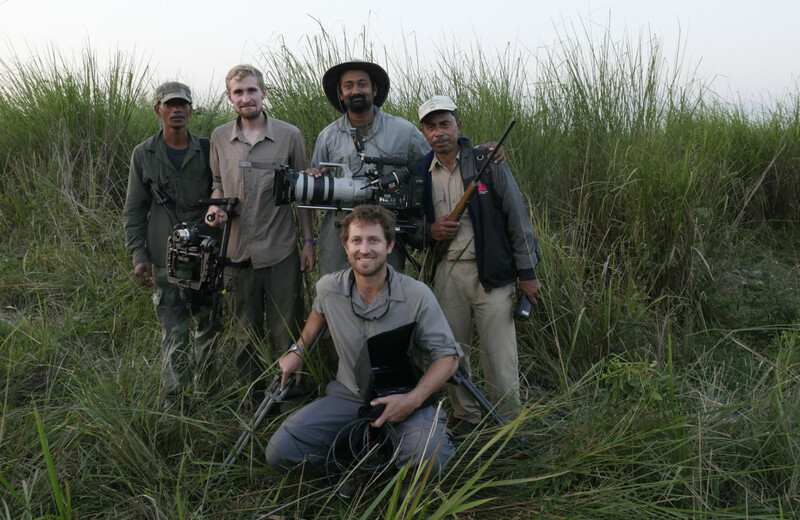 Planet Earth II’s intrepid crew have collaborated with some of India’s best in the field to document unseen aspects of this magnetic country. 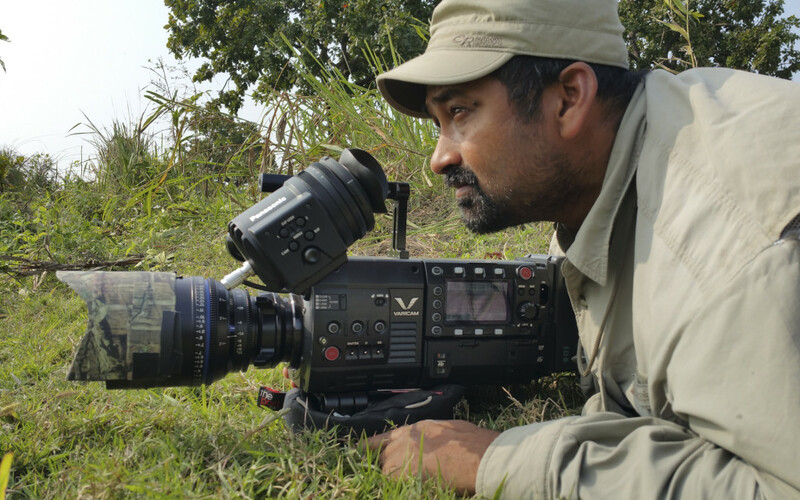 Felis Creation’s Chief Cameraman, Sandesh Kadur and Production Head, Adarsh N C had the enviable opportunity of being a part of BBC Planet Earth II’s crew in India. Mountains have been bestowed the title of being one of the harshest habitats on this planet. Only an animal with remarkable will and adaptation can survive the uninhabitable heights of the Himalaya. 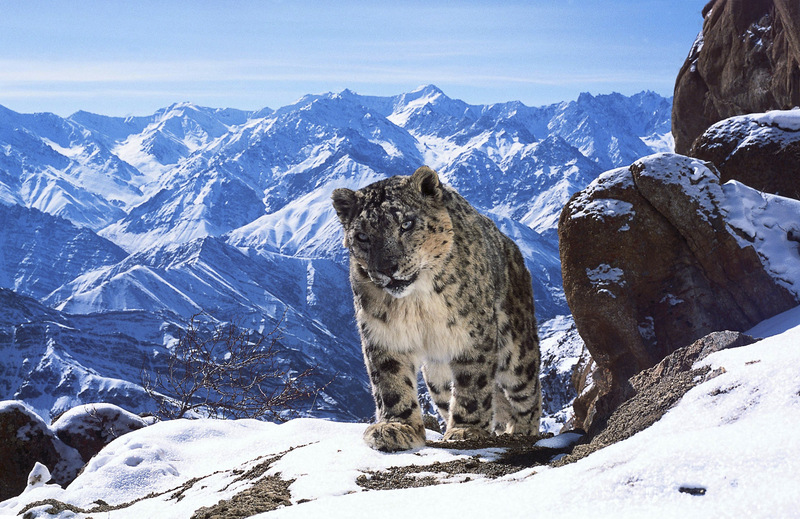 Planet Earth II gives viewers a glimpse into the life of the rarely seen inhabitant of these mountains, the Snow Leopard! With fewer than 3500 snow leopards left in the wild, the Mountains Episode highlights the plight of these amazing creatures, that face a bleak future in the face of climate change and human interference. For the first time ever four snow leopards have been filmed together with the help of re-engineered camera traps, operating at a dizzying altitude of close to 5000m. While the sequence was shot by series producer, Justin Anderson, Felis Creations piloted the recce and assisted with the permits to shoot in the remote Ladakh region. Grasslands cover a quarter of the earth’s surface. They support some of the largest gatherings of wild animals and are home to more large animals than any other habitat on the planet. Kaziranga National Park in north eastern India is testimony to that. In this unique flood plain grows the world’s tallest grass that dwarfs even the Asian Elephant! Shooting in December when the grass was at its tallest, was not an easy task. As Sandesh reminisces it was difficult for the team to maneuver through the grass with heavy equipment. Besides, hidden amidst the same grass were some of India’s largest mammals including the Greater One-horned Indian Rhinoceros, Bengal Tiger and the Water Buffalo! Much like the other episodes of this series, the Grasslands episode was filmed using new generation cameras and stabilization technology. The episode was filmed on the latest in 4K cameras – the Red Dragon and the Panasonic Varicam35. The Red Dragon was stabilized on the DJI Ronin and the Easy Rig. 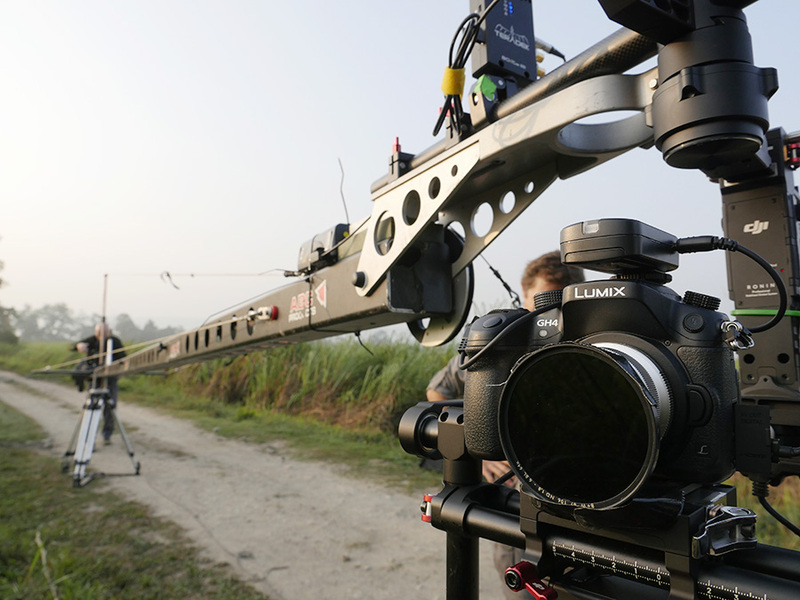 For the high angle shots on an ABC crane the team used a trusty Panasonic Lumix GH4 mounted on a DJI Ronin at the end of an ABC Jib. 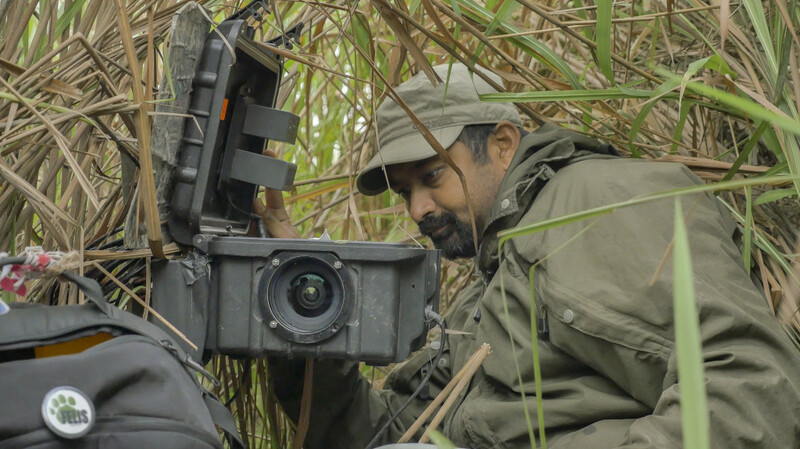 Without the intense technological innovations over the years, it would have certainly been impossible to achieve such immersive shots in the field! With 4 billion people now living in urban environments, Cities are the fastest growing habitats in the world. The consequence of this urban sprawl undoubtedly puts pressure on wildlife in ways that one cannot imagine. But when we take a closer look, there are a few brave and bold living among us. Some of whom are revered and some of whom are feared…While Langurs in Jodhpur are revered and often fed by residents, the macaques of Jaipur commute to the markets to raids the food stalls. However, the stealthiest of predators living in the shadows are the Leopards of Mumbai. Using the cover of darkness and the noise of the city to hunt domesticated animals, these cats have thrived. Mumbai has the highest density of leopards in the world! Shot by Sandesh, the Jodhpur sequence from the old city area of Brahmapuri is the opening shot for the Cities episode. 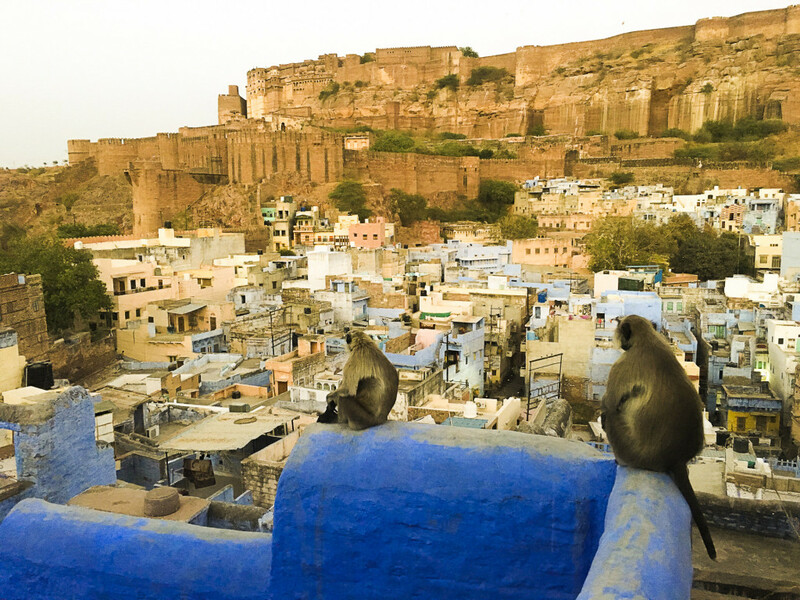 Following the troops of langurs over narrow parapets, capturing crucial moments against the backdrop of the blue city and ensuring the animals were not disturbed was an adventure of its own. There may be a reason why three sequences of the cities episode feature India. 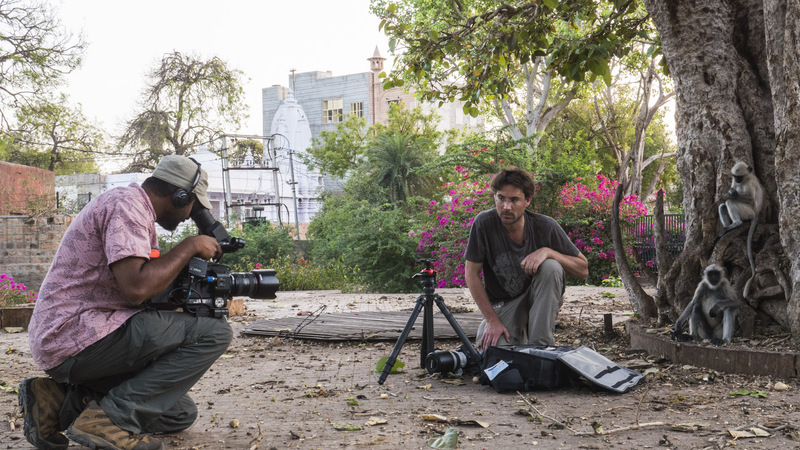 As the series producer Fredi Devas states, “The relationship between Indian people and wildlife – the acceptance and compassion – made it stand out as a place that was completely inspiring”. Over the past decade we have attempted to understand our natural world like never before and the technology we use to film it has grown by leaps and bounds. However, in that same time our environment has come under immense pressure. Starting UK/Nordics 6 Nov, Poland/China 7 Nov, Singapore 14 Nov, Spain 23 Nov, Belgium – 7 Dec, Germany – 1 Jan 2017, US – 28 Jan 2017, Rest of the world – TBC.